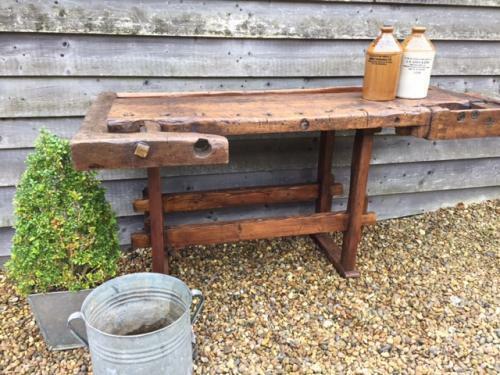 19th Century Workbench Table. Wonderfully rustic and full of character. Even has its recessed area for tools and nails. Would be ideal as side table in living room or for TV, shop counter or in large kitchen.